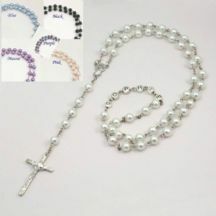 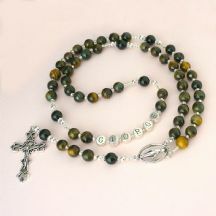 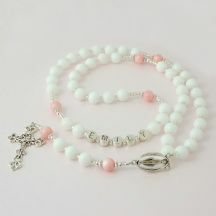 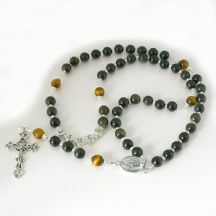 Personalised Rosary beads with pewter letters to spell any name of your choice up to 10 letters. 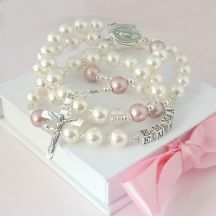 A lovely gift idea for a baptism, first holy communion, confirmation or other special occasion. 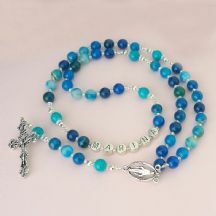 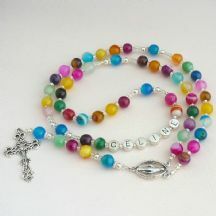 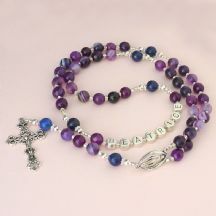 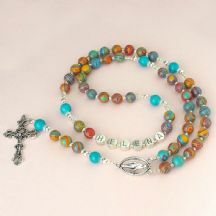 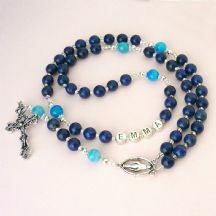 See also our lovely range of Personalised Rosaries with Engraving and Personalised Rosary Bracelets.